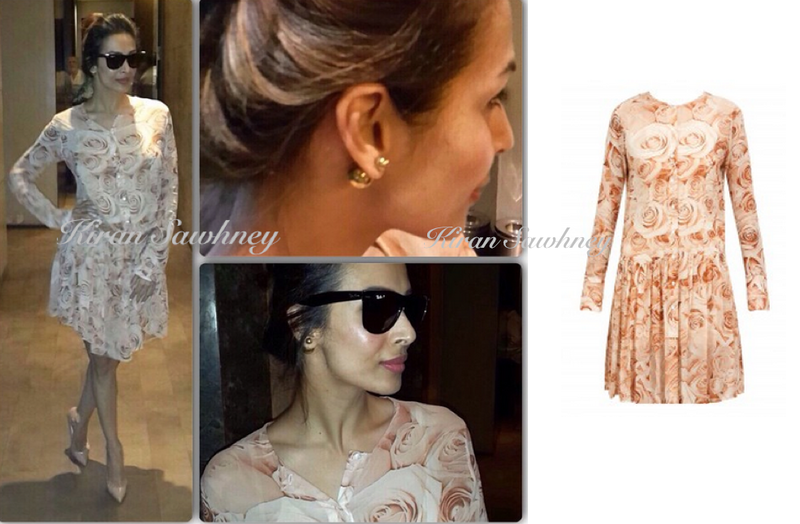 Malaika Arora wore a casual chic dress from Varun Bahl. She coordinated it with belt from Rara Avis and Sonal Verma earrings from Minerali store. She wore Louboutin shoes. Its a very casual look, which Malaika carried very well.